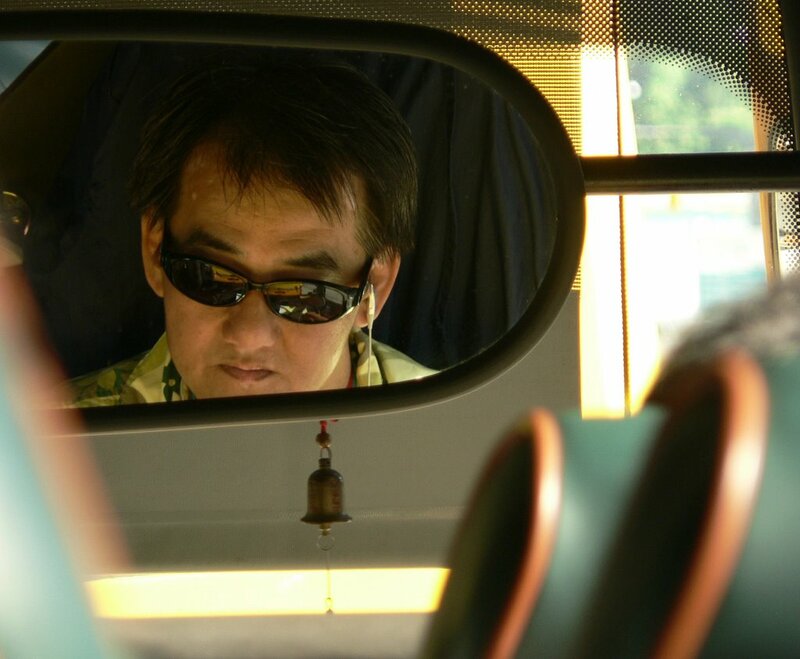 Candid Shot taken in the Sentosa Bus from Harbour front . I love this shot . You can see the sweat trickling from his forehead ..the earphone plugged into his ears ..the bell hanging in front of him ..the green shirt which is his uniform .. His goggles which has got reflections of the seats..
Do let me know what you think about this picture !!! Nice shot! and lovely reflection on his glass also.I remember ashish also took the same kind of pic. Lets wait when he is going to post his pic. That is a fine shot!! I really like the composition!